Was founded in Belle Chasse, La. in 2005, and has become a Gulf Coast leader in maritime services, oil & gas, disaster recovery, and equipment leasing & logistics management. Our reputation for operational excellence and superior service has given us the strength to serve our customers in new ways. Since 2005, Belle Chasse-based Couvillion Group has been tackling tough challenges with smart solutions and unrivaled results. We’ve earned our position as a regional leader in marine construction, salvage, repair, and maintenance as well as equipment leasing, logistics management, oil & gas, and petrochemical work. A key first responder in the Plaquemines Parish vessel recovery effort after Hurricane Katrina, Couvillion designed a unique lift and barge system that returned hundreds of vessels to service. And following the catastrophic BP oil spill, we deployed and managed marine equipment, vessels, personnel, and logistics for BP, the U.S. Coast Guard and National Park Services, and local government during the extended cleanup effort. 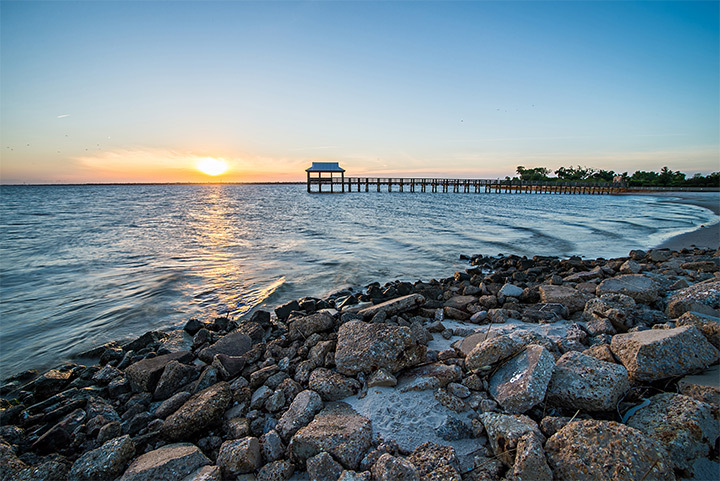 Since then, Couvillion has successfully completed a broad range of reconstruction projects including the Port Sulphur lift station, Fort Jackson sluice gate, and Buras Boat Harbor. We salvaged and returned barges to service following Hurricane Ivan. And in 2013, we completed our most significant project to date: rebuilding from the ground up historic, Katrina-battered Port Eads Marina – the last stop for fishermen and offshore workers along the Mississippi River before entering the Gulf of Mexico. We also recognize that now more than ever, Couvillion people are the reason for our continued success. Our business was founded on a set of enduring values that guide the way we conduct business. And as we continue our tradition of breaking new ground in marine construction and infrastructure, those values – along with our statements of mission and purpose – will help get us where we need to go. We think in terms of possibilities, not limitations. Understanding as much as logic. And results instead of talk. We manage our business with integrity and social responsibility, and emphasize the well-being of our teammates and communities. We build strong and lasting relationships with employees, subcontractors, and customers who share our values and commitment to the Gulf Coast. We offer excellence, value, and performance as we serve our customers’ evolving marine construction, industrial, and equipment needs. We invest in the best people, equipment, techniques, and technologies to provide appropriate and value-added solutions to our customers’ toughest challenges. We ensure our position as a responsible and well-regarded employer and corporate citizen by following safe, reliable, efficient, and environmentally sound work practices. We earn a regional reputation as the marine construction contractor of choice in emergency situations and for routine maintenance and construction. Put employees, the environment, and public safety first. Operate with integrity and do the right thing. Deliver value and success through exemplary service. Put the job – and the customer – above our own interests. Create an environment of continuous improvement. Build long-term business relationships based on trust and mutual respect. Treat employees fairly and equally, rewarding performance through competitive compensation and benefits. Invest in people and processes through continuous training and development. Build a diverse yet cohesive team with a positive attitude. Practice aggressive yet controlled and sustainable growth.